At the outset, I want to say that I have never been a Jehovah’s Witness (JW), and no one in my family is/was a Jehovah’s Witness. This is important because JWs are not permitted to read anything by ex-members of the church. Therefore, any JW who has stumbled upon this article should feel free to read without fear that they are doing anything forbidden by their church. You might have recently seen the JWs in pop culture news because of actress Leah Remini. Remini is known best for her role on the popular show “King of Queens.” (She will, however, always be dear to my heart as Stacey Carosi, the daughter of the hot-headed beach club manager from season 3 of Saved by the Bell.) Her more recent fame, however, comes from the award-winning series she produced for A&E where she documented a lesser known part of her life, her journey through Scientology. The series detailed not only her departure from Scientology, but also stories of numerous other individuals whose lives were destroyed by their entanglement with the Hollywood-dominated religion. Remini recently gave a voice to those who have experienced abuses within the Jehovah’s Witnesses (JW), in a similar exposé-style as her series about Scientology. 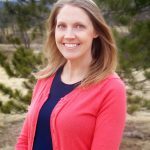 The show, which aired on November 13, 2018, featured one of our own Women in Apologetics apologists (and contributor to this article), ex-JW Cynthia Hampton! You can watch it online here. I remember one of the first times I met a JW. Probably like many of you, it was at my front door. Two JW missionaries knocked and offered to share a Watchtower Magazine with my family. My parents didn’t ever slam the door in their faces; instead, we’d politely tell them that we were Christians, and usually they would leave. This has rarely happened in my adulthood because of where we live, but I do remember living at our last house and seeing a lot of JW missionaries wandering around our neighborhood on weekends. My husband and I did what my parents did–we told them we were Christians, and they left. This article will tackle JW’s key beliefs, and give you some insight into their (somewhat odd) history. After reading, you should feel more confident to engage with the next JWs who come to your door. It is also a golden opportunity for our children for several reasons: 1) It shows them how to courteously engage with those who believe differently from us; 2) It opens up conversation opportunities with them about religions that sound like they are Christian, but are not; and 3) It shows them that we, as Christians, are not scared to engage with people from different worldviews. If our children see us hide in fear or slam the door in the faces of these missionaries, we have robbed them of an important learning opportunity. As we have seen with our articles about Judaism (here and here), studying world religions can be really challenging and requires a sound mind, which luckily we are told we have been given (2 Timothy 1:7). Jesus said, “‘Love the Lord your God with all your heart and with all your soul and with all your strength and with all your mind’; and, ‘Love your neighbor as yourself’” (Luke 10:27). It might take some work, but the work is worth it and honoring to God! 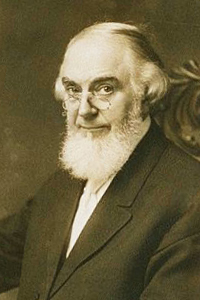 Russell was heavily influenced by the Adventist prediction that Christ would return in 1874, based primarily on the prediction made by Nelson H. Barbour in his book, The Midnight Cry.2Ibid. 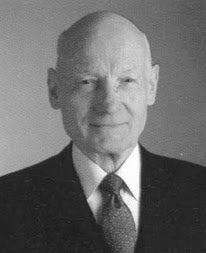 ; Nelson H. Barbour, The Midnight Cry, 2nd ed. (Rochester, NY: 1871). When it became obvious that the prophecy didn’t happen, Russell claimed that Christ had returned, but invisibly.3Ibid., citing Richard Abanes, Cults, New Religious Movements and Your Family (Wheaton, IL: Crossway Books, 1998), 235-37. Russell predicted that Christ’s reign would be unveiled in 1914, ushering in the events described in Revelation. You can read more about the prediction here (Russell’s 1911 booklet, “The Time is at Hand”) and here (1892 Zion’s Watchtower). 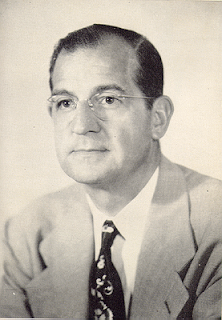 Russell began publishing The Watchtower, a magazine dedicated to developing and disseminating the beliefs of the Jehovah’s Witnesses. In 1896, Russell founded the Watchtower Bible and Tract Society (WBTS), which eventually became more widely known as the Jehovah’s Witnesses.4Ibid. It’s interesting that JWs deny that Russell founded their religion; instead, they say Jesus Christ was the founder of the JWs. For more, visit https://www.jw.org/en/jehovahs-witnesses/faq/founder/ (last accessed April 5, 2018). Though Russell originally claimed that the start of World War I in 1914 was the start of Armageddon, his prophecy was ultimately unfulfilled.5JWs now claim that 1914 was the start of “pangs of distress,” not the Armageddon. See https://www.jw.org/en/publications/magazines/w20130715/jesus-prophecy-last-days (last accessed March 5, 2018). 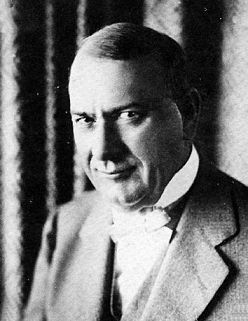 He died in 1916, and his successor, Joseph F. Rutherford, soon set 1925 as the new date for the impending Armageddon.6J.F. Rutherford, Millions Now Living Will Never Die, International Bible Students Association, 1920, 105. This was when Christ’s kingdom on earth would be complete and when the Old Testament saints would be resurrected. A mansion called Beth Sarim was built to house the Old Testament saints in San Diego, but it was sold in 1948 when the church abandoned the idea of the saints’ return. When that date came and went, Rutherford claimed that his followers had simply misunderstood what he meant and backed away from the prophecy. 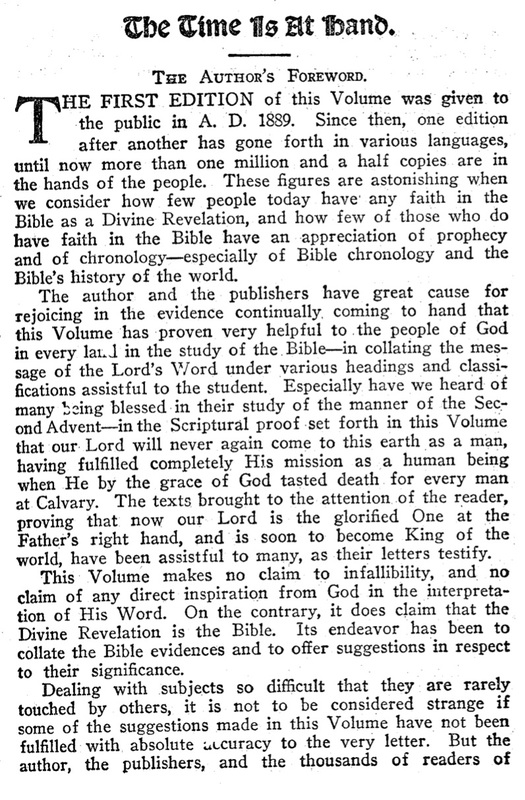 Rutherford also added a foreword in 1916 to “The Time is at Hand” where he tells the reader that he is not infallible. What are JWs preaching door-to-door? Under Rutherford, JWs began going door-to-door to tell people that only 144,000 people would ever make it to heaven, based on their misguided interpretation of Revelation 7:4-8. As the church grew, Rutherford saw that they were approaching the 144,000 mark with no real sign of the Armageddon, so he changed his views. He called the original members of the JWs, those who joined the church before 1935, the “little flock,” the anointed ones. These anointed ones would be the select few to join God in heaven after the Armageddon.7See “The Reason Why a Little Flock Goes to Heaven,” https://wol.jw.org/en/wol/d/r1/lp-e/1101968009?q=little+flock&p=par (last accessed June 24, 2018). The “great crowd,” also called the earthly class, would be made up of the remaining members who joined the JWs after 1935. They would not get to heaven, but they would live on earth in a new paradise.8See “A Multitudinous Great Crowd,” https://wol.jw.org/en/wol/d/r1/lp-e/1101988020?q=the+great+crowd&p=par#h=4 (last accessed June 24, 2018). 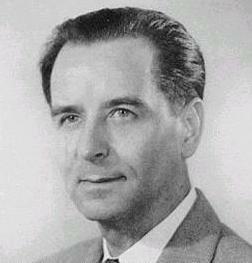 Rutherford died in 1942 and was succeeded by Nathan Knorr. In 1943, a formal denial that Christ had returned invisibly in 1874 was made, switching the date of Jesus’ invisible return to 1914.9See The Truth Shall Make You Free (Brooklyn, NY: Watch Tower Bible and Tract Society, 1943), 324. 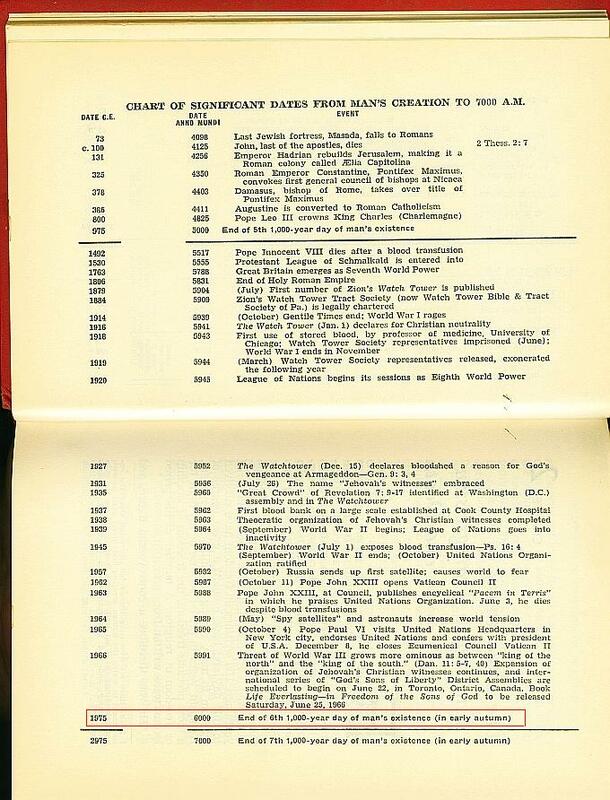 According to the new timeline, Armageddon would happen in 1975, the 6,000-year anniversary of the creation of man and the beginning of Christ’s 1,000-year reign. The church continued to grow in number, but 1975 came and went without the Armageddon. Knorr’s successor, Frederick Franz, did not make any outright predictions about the impending Armageddon, but he did say the Armageddon would occur before the entire 1914 generation had died.10Ridenour, So What’s the Difference?, 120. Monotheism. Like Christians, JWs believe in one God, but our views of God are different. Take, for instance, the Trinity. JWs believe that the idea of the Trinity is un-Scriptural. They believe that Jesus was God’s first creation and, as such, he is the son of God, but that Jesus was not God incarnate. JWs believe that the Holy Spirit is the active force of God. In other words, the Father, Son, and Holy Spirit are all separate and not equal. Thus, God is a singular being.13See “Is the Trinity a Bible Teaching?,” https://www.jw.org/en/publications/magazines/wp20120301/Is-the-Trinity-a-Bible-teaching/, last accessed March 28, 2018. Put simply, JWs do not believe the Trinity is biblical because they find it “confusing,” and the word “Trinity” does not appear in the Bible. Because they can’t explain it, they deny it. Ultimately, JWs cherry-pick Scripture to support their thoughts on the Trinity. JWs do mention other gods at times, but only to specifically note that those gods are not real or that they are pagan. Jesus. JWs do not believe that Jesus was God in human form.14See “Do Jehovah’s Witnesses Believe in Jesus?,” https://www.jw.org/en/jehovahs-witnesses/faq/believe-in-jesus/, last accessed April 5, 2018. They believe that Jesus was God’s first creation and, thus, God’s son, but not God Himself. 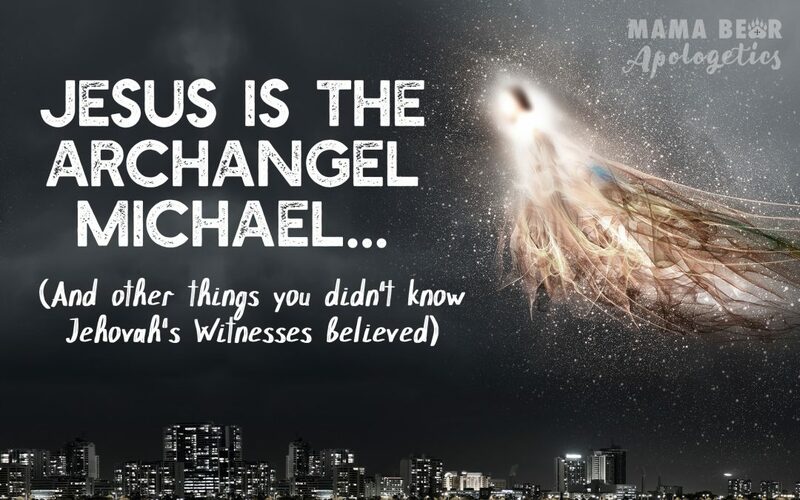 In fact, JWs believe that Jesus is the archangel Michael.15See “Who is Michael the Archangel?,” https://www.jw.org/en/publications/books/bible-teach/who-is-michael-the-archangel-jesus/, last accessed April 5, 2018. This may sound strange to you, but JWs believe that Michael’s essence was implanted into Mary and became Jesus. Further, Jesus was resurrected, but not physically, only spiritually.16See “After Jesus’ Resurrection, Was His Body Flesh Or Spirit?,” https://www.jw.org/en/bible-teachings/questions/jesus-body/ (last accessed June 26, 2018). They believe that he disintegrated into gases when he was resurrected. JWs will at times reference Jesus as a minor god, but claim to believe in only one true God, Jehovah. The Bible. JWs reject all translations of the Bible apart from their own, the New World Translation of the Holy Scriptures.17See “Is the New World Translation Accurate?” (https://www.jw.org/en/jehovahs-witnesses/faq/new-world-translation-accurate/#?insight[search_id]=688b53be-b064-43d5-97ac-3a30d4476680&insight[search_result_index]=0) and “Why Have We Produced the New World Translation?” (https://www.jw.org/en/publications/books/jehovahs-will/new-world-translation/). Salvation. JWs do believe that Jesus died (on a stake, not a cross) and was resurrected, though only spiritually (not physically), but that salvation is not through faith alone. Instead, JWs believe that one earns salvation through obedience and good works.18See “What is Salvation?,” https://www.jw.org/en/bible-teachings/questions/what-is-salvation/ (last accessed June 24, 2018). Misconception #1: Jehovah’s Witnesses do not believe in Heaven. JWs believe in heaven, but only 144,000 will get to go and be with Jehovah for eternity. Others who are saved will spend eternity on the new earthly paradise where Jesus will reign for 1,000 years. At that point, Satan, his demons, and anyone not deemed worthy will be destroyed, and everyone else will remain on earth forever.20See “Who Goes to Heaven?,” https://www.jw.org/en/bible-teachings/questions/go-to-heaven/ (last accessed June 24, 2018). Misconception #2: Jehovah’s Witnesses cannot get organ donations. Although Jehovah’s Witnesses can get organ donations, this is likely rare because they are not allowed to get blood transfusions, which are oftentimes required during surgery. JWs promote bloodless surgery whenever possible.21See “Why Don’t Jehovah’s Witnesses Accept Blood Transfusions?,” https://www.jw.org/en/jehovahs-witnesses/faq/jehovahs-witnesses-why-no-blood-transfusions/ (last accessed June 24, 2018). This is based on their interpretation of Genesis 9:4, Leviticus 17:10-14, and Acts 15:28-29. Misconception #3: Jehovah’s Witnesses can’t get divorced. Although divorce is forbidden in most circumstances, JW couples may get divorced if there has been sexual immorality. Even then, the JW is encouraged to avoid divorce, if possible.22See “Four Things You Should Know About Divorce,” https://www.jw.org/en/publications/magazines/g201002/four-things-about-divorce/ (last accessed June 24, 2018). A JW is only permitted to get remarried if there was adultery by the other spouse in the previous marriage. If a divorce occurs due to other circumstances considered extraordinary by JWs, like extreme abuse, willful nonsupport, and absolute endangerment of a JW’s spirituality, remarriage may not occur.23See “Marriage Should Be a Permanent Bond,” https://www.jw.org/en/publications/magazines/g20020208/Marriage-Should-Be-a-Permanent-Bond/ (last accessed June 24, 2018). Misconception #4: Jehovah’s Witnesses can’t drink alcohol or dance. JWs teach moderation for drinking, noting that while it is not strictly prohibited, steps should be taken to ensure that alcohol is not abused. Dancing is also allowed, but only in moderation. Sexually explicit dancing is considered inappropriate. One article from Awake! magazine tells JWs that young people are allowed to go to dance clubs, but then lists all of the bad things that can happen, like rock or heavy metal music, alcohol, mosh pits, and provocative dancing. Men with skin conditions like eczema can get a pass so that they do not have to shave, but it is unlikely that you will ever see a male JW with a beard, even though they are not overtly prohibited. It is interesting to note that until mid-1968, JWs portrayed Jesus without a beard. Various images from The Watchtower show Jesus as clean-shaven, even in Heaven. You can also read an answer to a reader of the Watchtower Magazine about Jesus having no beard here. The policy about a beardless Jesus seems to have changed because of the evidence that contradicted the notion that Jesus did not have a beard.25See The Watchtower, May 12, 1968 edition, 288 (available in part at https://www.jwfacts.com/images/watchtower-1968-may-12-p.288-beard.jpg). What can Christians learn from Jehovah’s Witnesses? Piety. JWs are incredibly pious, particularly because piety is a requirement in their belief system. They attend meetings at their Kingdom Hall two times per week to study and memorize Scripture. They come armed with Scripture references when they evangelize door-to-door. They know why they believe what they believe. Christians must know the Bible so that they can be prepared to respond when asked questions. The Bible says, “But in your hearts set apart Christ as Lord. Always be prepared to give an answer to everyone who asks you to give the reason for the hope that you have. But do this with gentleness and respect” (1 Peter 3:15). Evangelism. Although evangelism is still popular in the Christian church, JWs seem to be more overt in their evangelistic pursuits. They are bold in their mission, and they strive to live it out daily. To be clear, their intentions are to follow the rules of their religion and meet evangelism goals and hours established by their church, not Scripture. As Christians, we should evangelize willingly because the Bible emphasizes the importance of evangelism (and apologetics! ): “And he gave the apostles, the prophets, the evangelists, the shepherds and teachers, to equip the saints for the work of ministry, for building up the body of Christ” (Ephesians 4:11-12). In our next World Religions article, we’ll go through some common questions your kids might come up with about the JWs, especially in light of what they might find on social media or television. We’ll talk about birthdays, holidays, the use of the name Jehovah, shunning, and lots more. Have more questions about what Jehovah’s Witnesses believe? Ask Lindsey in the comments! This is an interesting article. I was unaware, however, that Seventh-day Adventists predicted Christ’s coming in 1874. 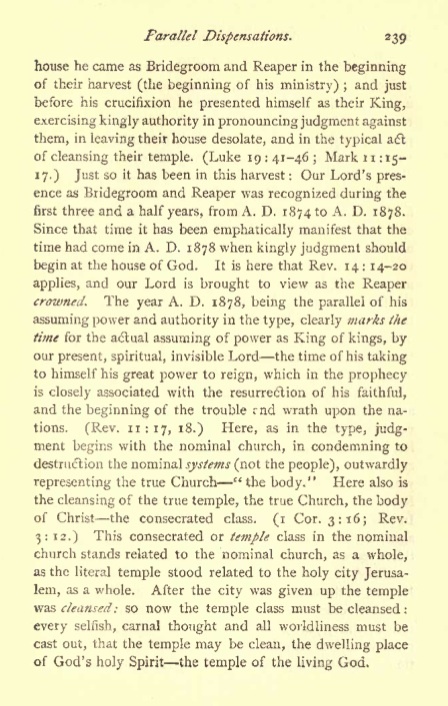 Perhaps it’s a misconception produced by the flow of the article: Seventh-day Adventists are mentioned in the previous paragraph, and then “Adventists” (of which there were many varieties in the 19th C, as the term was applied to several movements growing out of the MIllerite movement) is mentioned in the next paragraph as having predicted an 1874 Second Coming. It could lead one to believe that Seventh-day Adventists set a date for the return of Christ . . . which, to my understanding, they didn’t. Where exactly in this article do you talk about the title Jesus being Michael?? That’s what I read it for and you don’t seem to even mention it. No worries! Glad you found it. I am famous for looking directly at stuff and not seeing it. Just ask my husband. Haha! What a pleasant hit piece on a Religion you know nothing about, and have no interest in accurately reporting on. It is not the information that you have provided is wrong per se, it is the way you present it and ultimately cast it in an unfavorable light. No matter what you believe it is a discredit to yourself to treat any persons fervent belief as both unfounded and foolish. Take for example the belief that the Archangel Micheal is Jesus rather than presenting it as a belief you present it as a misconception and have not through the entire article linked to any of the in depth recourses Jehovah’s Witnesses publish about themselves such as the Watchtower Online Library https://wol.jw.org/en/wol/d/r1/lp-e/1200003035 Furthermore your claim that Jehovah’s Witnesses do not value or ever consider other Biblical renditions is absurd. Their official app includes many different bibles and offers the option to view them side by side, with annotations that give reasons to any differences between theirs and others. Ultimately this is a hit piece that could better service the viewer to due their own research into material on Jehovah’s witnesses on material published by Jehovah’s witnesses. I am going to assume you are a Jehovah’s Witness. 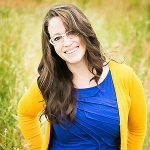 With that said, I am surprised you did not attempt to set right Lindsey Medenwaldt’s “misconceptions” of the JW’s beliefs. On the other hand, how did you come about to find Mama Bear’s Apologetics? Another Random Casis Beli, why do you think that Lindsey knows nothing about Jehovah’s Witness? You said yourself that you could not find any factual errors in what she said. Furthermore, to prevent us from publishing factual errors, we have current and former JW’s look over the material, to make sure that bias does not get in the way. And by “unfavorable” light, what exactly do you mean? This article is written with a very neutral tone, just reporting the information. Not only do we intend to be charitable in our reporting, but we purposefully include a section on what Christians can learn from the other religion. I have not seen that anywhere else. If you think this is a “hit piece” then I’m not sure what other articles you are reading.